Netflix has reorganised its global brand marketing team based in the US but Marketing understands that Asia will not be impacted. Brand work still continues throughout the company. According to Adweek, the team works with third-party agency partners to promote Netflix and its original shows through traditional brand marketing duties. 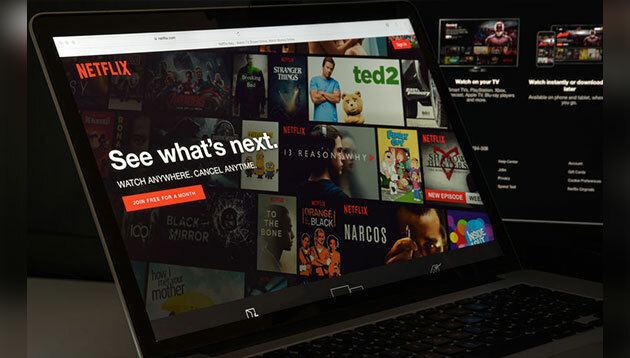 The article said that the team was formed in 2017, during the period which Netflix bolstered its advertising initiatives. However, there were no specifics on the number of staff in the team. Separately, CMO Kelly Bennett stepped down from his role earlier this month after seven years. He will, however, remain in his role for a transitional period until a new CMO is named, Netflix said in a press statement. Marketing has reached out to Netflix for more information. Netflix has been ramping up its marketing efforts lately. Recently, it tapped on Instagram to enable users to share shows as an Instagram story, or to send as a direct message. With this new feature, Netflix members can open the Netflix app on their mobile phones, select a title of the show, add that title’s custom art, then share it on Instagram. The streaming platform also unveiled 17 new Asian original productions, namely from Japan, Taiwan, Thailand, India and South Korea, during its recent content showcase called “See What’s Next: Asia”. Part of its initiative to grow the Asian content on its platform, Netflix aims to increase its investment in Asian storytellers, these projects will join an estimated 100 new and returning originals across eight countries in Asia through 2019. This came amid rising competition in streaming services as Walt Disney and AT&T’s WarnerMedia also announced plans to offer subscriptions of their own. On the topic of new competitors, Hastings said that instead of getting distracted, Netflix will try to learn lessons from them. He added that the competition from “amazing, large, well-funded companies with very significant efforts” will make the industry better. In a move to strengthen both digital and traditional planning offerings, DDB Group Shanghai has scooped three talents to boost its.. Kinetic Philippines will be presenting topline findings of Kinetic Advantage in early February to be attended by marketing leaders..